Is Sleep Apnea behind Your Nocturia (Frequent Urination at Night)? 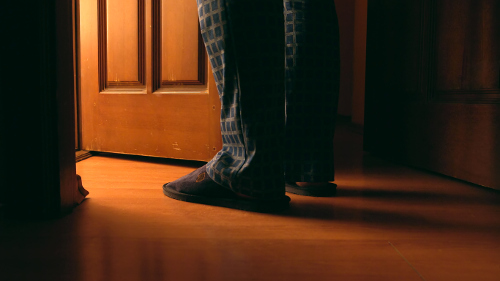 Home » General Health » Is Sleep Apnea behind Your Nocturia (Frequent Urination at Night)? Do you usually find it hard to fall into a deep, restful sleep at night? And when you finally do get to sleep, are you awakened by the sudden and uncomfortable urge to pee? Frequent urination at night, also known as nocturia, is a symptom of what could potentially be a much bigger underlying medical issue. It could indicate high blood pressure, diabetes, obesity, or even various types of sleep apnea—most notably, obstructive sleep apnea syndrome (OSAS). I’m going to tell you about a few treatment options to help you regain control of your situation. But first let me explain a little bit about sleep apnea. What Is Obstructive Sleep Apnea Syndrome (OSAS)? OSAS is a condition that blocks your airways while you sleep, restricting or even pausing your breathing for an indeterminate amount of time. If your husband or wife snores extremely loudly in their sleep, it could be a sign of sleep apnea. According to the American Sleep Apnea Association, roughly 22 million Americans suffer from some form of sleep apnea. Around 80% of moderate and severe OSAS cases go undiagnosed. I’m not trying to scare you, but I do want to bring this to your attention in case you may be experiencing similar symptoms. OSAS significantly lowers the length and quality of your sleep, which can negatively affect you in ways other than frequent urination at night. Shallow sleep can lead to daytime tiredness, reduced cognitive functions, and even early onset dementia. So, it’s definitely something you should get checked out. The earlier it’s diagnosed the better. Although nocturia is a major symptom of sleep apnea, remember that it can still be related to other illnesses or disorders. You should talk to your doctor about any other symptoms you may experience. They can run the proper diagnostic tests and make appropriate treatment recommendations for you. Rahnama’i, S. et al., “Does disturbed breathing while asleep make some people pee more at night?,” European Association of Urology—press release, March 26, 2017; https://uroweb.org/wp-content/uploads/Does-disturbed-breathing-while-asleep-make-some-people-pee-more-at-night.pdf, last accessed April 5, 2017. Rahnama’i, S. et al., “Reduction of Nocturia in Patients Treated with C-PAP for Obstructive Sleep Apnea Syndrome;” https://www.ics.org/Abstracts/Publish/326/000009.pdf, last accessed April 5, 2017. Preidt, R. “Curbing Sleep Apnea Might Mean Fewer Night Trips to the Bathroom,” HealthDay, March 27, 2017; https://consumer.healthday.com/sleep-disorder-information-33/apnea-sleep-problems-news-624/curbing-sleep-apnea-might-mean-fewer-night-trips-to-bathroom-720980.html, last accessed April 5, 2017. “What is Sleep Apnea?,” National Heart, Lung, and Blood Institute, July 10, 2012; https://www.nhlbi.nih.gov/health/health-topics/topics/sleepapnea, last accessed April 5, 2017. “CPAP,” National Heart, Lung, and Blood Institute, December 9, 2016; https://www.nhlbi.nih.gov/health/health-topics/topics/cpap, last accessed April 5, 2017. “How is Sleep Apnea Treated?,” National Heart, Lung, and Blood Institute, July 10, 2012; https://www.nhlbi.nih.gov/health/health-topics/topics/sleepapnea/treatment, last accessed April 5, 2017. “How to Stop Sleep Apnea – 4 Non-CPAP Remedies,” UHN Daily, January 7, 2017; http://universityhealthnews.com/daily/sleep/tired-all-the-time-try-these-4-natural-remedies-for-sleep-apnea/, last accessed April 5, 2017. Knott, L. et al., “NOCTURIA,” Patient, last checked September 16, 2016; https://patient.info/doctor/nocturia, last accessed April 5, 2017. “Sleep Apnea Information for Clinicians,” American Sleep Association; https://sleepapnea.org/learn/sleep-apnea-information-clinicians/, last accessed April 5, 2017.